Paul Pogba spearheaded a sensational Manchester United comeback to deny Manchester City a chance to win the Premier League title in a 3-2 win on Saturday. City knew a win would be enough for their third Premier League title and goals from Vincent Kompany (25) and Ilkay Gundogan (30) looked to have sealed the deal. Pep Guardiola then watched his team waste numerous chances with Raheem Sterling particularly culpable and Pogba, who was offered to Manchester City in January according to Guardiola, put the champagne on ice with a quick-fire double just after half-time (53, 55) before Chris Smalling (69) completed a miraculous comeback. In a quite pulsating game that produced nine yellow cards, tempers boiled over late on with City being denied what seemed a clear penalty for a dangerous tackle from Ashley Young on Sergio Aguero and David de Gea produced a world-class save to deny the Argentine striker. The result still leaves Guardiola's men in pole position for the title as they require just six points from their remaining six games (if United keep winning) - four of which come against relegation-threatened teams. This means they cannot secure the title at Wembley against Tottenham next weekend, live on Sky Sports. Meanwhile, United are 13 points behind in second and are four clear of Liverpool with a game in hand. United would have been happy with their display in the first 25 minutes but they were undone by a set-piece and a familiar foe. Kompany scored the decisive winning goal in the 2012 Manchester derby on the way to City's title win and thumped home the opening goal here six years on. Leroy Sane swung in a delicious delivery which was met by the City skipper, who brushed aside Smalling's pitiful man-marking attempts. The goal rocked United and a revitalised City smelt blood. It was 2-0 just five minutes later as Guardiola's men produced a move that summed up their free-flowing style. Sterling found Gundogan with a clever reverse pass before the Germany international fooled Nemanja Matic with a round-the-world turn and toe-poked a cheeky effort into the bottom corner. 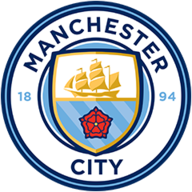 City boss Pep Guardiola made four changes from Wednesday night's 3-0 defeat to Liverpool in the Champions League with Danilo, Fabian Delph, Bernardo Silva and Raheem Sterling all getting a start. Meanwhile, Jose Mourinho opted to recall Ander Herrera to his midfield as Marcus Rashford and Anthony Martial were left on the bench. Sterling then blotted his copybook by missing two guilt-edge chances when through one-on-one with De Gea - firing both clumsily over the crossbar. Gundogan - fed by Sterling - clipped a curling effort off the post just after the break. The City chances were adding up and United made them pay with a sensational double salvo, spearheaded by Pogba. The France midfielder reduced the deficit with a cool finish after an outrageous chested pass by Ander Herrera and then two minutes later, Pogba breezed past Nicholas Otamendi and flicked a header into the bottom corner via an Alexis Sanchez cross. These goals were Pogba's first for United against a top-six team in the Premier League. City - so in control just minutes earlier - were now wilting and United took the lead on 69 minutes. Once again it was Sanchez who delivered the perfect centre and Smalling made amends for his earlier error by volleying home from close range. Guardiola called for reinforcements from the bench with Aguero, Kevin De Bruyne and Gabriel Jesus all entering the fray. There were worried faces on the United bench when Young brought down Aguero in the box with a challenge that crunched the striker's shin bone. However, referee Martin Atkinson deemed the tackle a fair one. With time running out, De Gea then produced an eye-watering one-handed save to deny Aguero and Sterling somehow spurned an effort off the post from two yards out. A world-class showing from a player capable of producing moments to remember. Both of his goals were very skillfully taken, which makes the fact that he's only scored eight times in 50 appearances since returning to United very confusing. City lost a Premier League game they were winning by a two-goal margin for the first time since October 2008 vs Liverpool. United have won nine Premier League away games when trailing by at least two goals - four more than any other side in the competition. Alexis Sanchez has provided two assists in a Premier League game for only the second time, also doing so against Newcastle in December 2014. Sanchez has had a hand in four goals in his last two Premier League games for Manchester United (1 goal, 3 assists). Pep Guardiola: "We did absolutely everything. In the first half of the game. We created enough chances and had chances but its okay. We're a little sad for our fans, our people and players but we'll try and put things right on Tuesday. "They found their game and their actions. They have spirit, this is Manchester United! But we have done everything to win this game. "I don't think the players have lost focus. Our team is built to create and attack, that's why we made the decisions we did to go forward. We had a lot of quality and goals in the first half but you have to defend a little better from set-pieces. But that's football." Man City boss Pep Guardiola said he was pleased with his side's performance but admitted he was sad for the fans that they weren't able to clinch the title against their rivals. Jose Mourinho: "We had more ball than normally a team has against Manchester City so it was a question of keeping confident and waiting for a goal. "I gave them the example of many matches where teams are losing 2-0 and they recover. They kept their shape and it's a very important result for us. We need six points in three matches at home and away to finish in the top four, and to finish second I think is very important as we are two points ahead of Liverpool. "Hopefully City can beat Tottenham to win the title, as our challenge is to finish second, so I get the chance to congratulate City for their title. Of course they wanted to do it today, but they are going to win the title, just not today. "They've won more points than the others but they gave no chance to the others." Raheem Sterling caught the eye for all the wrong reasons in Man City’s defeat to rivals Man Utd, missing three guilt-edge chances as City threw away a 2-0 lead. In Sterling’s defence his build-up play, which included an assist for Ilkay Gundogan’s goal, was his usual high-standard. Fabian Delph wasn’t included in Gareth Southgate’s last squad, but played 90 minutes at left back at the Etihad. He was solid if unspectacular. Delph is battling with Ashley Young for a spot on the plane to Russia. The United full back had a clumsy afternoon and was lucky to stay on the pitch after escaping giving away a penalty for a handball and an ugly tackle on Sergio Aguero. Meanwhile, Chris Smalling, who is out of favour with Southgate, summed up United’s day with an appalling first-half showing, before gathering himself in the second period to score the winning goal. 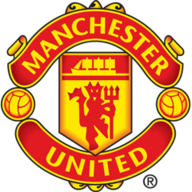 Jesse Lingard maintained his good form with an energetic display, while Marcus Rashford played just eight minutes from the bench – the third domestic game in a row he’s been overlooked for a starting berth. "It's put a large question mark against Man City. There was a question mark going into the game and it's only become bigger. That's two games now and they've conceded six goals. When can City win title now? "If you're winning the big titles you can't keep giving teams three goals." Manchester City face Liverpool in 72 hours, facing the task of turning around a 3-0 deficit in the second leg of their Champions League quarter-final, while United are back in front of the Super Sunday cameras next weekend for their clash with West Brom.